Showcasing a menu of options. When you have a variety of products and solutions to offer your customers, you want to ensure that your customers know all their options. To help make this a reality for their tradeshow exhibitions, LBP turned to the team at Evoke Idea Group. 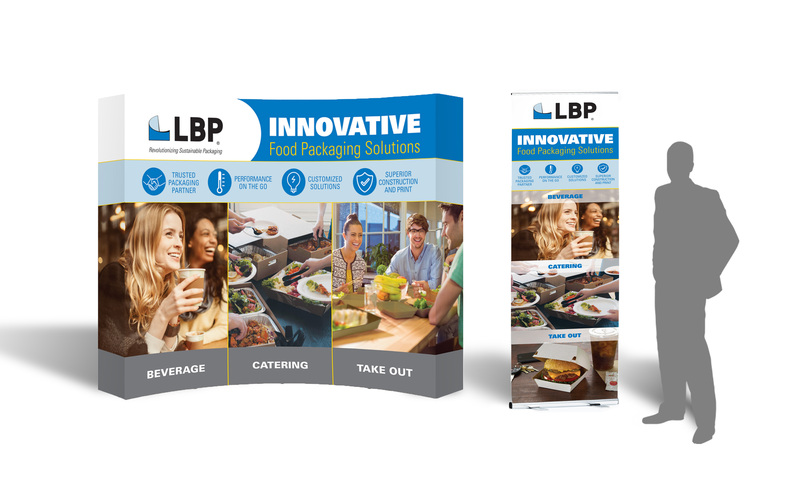 As a leading provider of food and beverage packaging options to some of the world’s biggest brands, LBP wanted to ensure that at every trade show event they attended, the three main types of packaging solutions they offer would be apparent even from afar. Evoke designed a display booth and pop-up banner, ensuring that no matter the size of the event or LBP’s presence at it, the company would be able to increase brand awareness and sales.